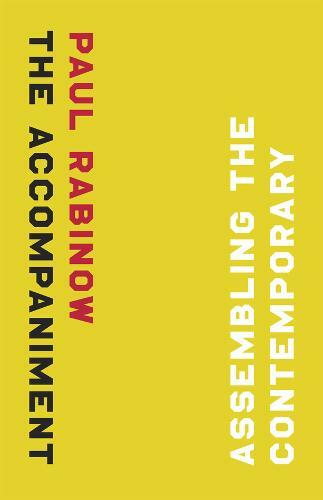 In this culmination of his search for anthropological concepts and practices appropriate to the twenty-first century, Paul Rabinow contends that to make sense of the contemporary anthropologists must invent new forms of inquiry. He begins with an extended rumination on what he gained from two of his formative mentors: Michel Foucault and Clifford Geertz. Reflecting on their lives as teachers and thinkers, as well as human beings, he poses questions about their critical limitations, their unfulfilled hopes, and the lessons he learned from and with them. This spirit of collaboration animates "The Accompaniment", as Rabinow assesses the last ten years of his career, largely spent engaging in a series of intensive experiments in collaborative research and often focused on cutting-edge work in synthetic biology. He candidly details the successes and failures of shifting his teaching practice away from individual projects, placing greater emphasis on participation over observation in research, and designing and using websites as a venue for collaboration. Analyzing these endeavors alongside his efforts to apply an anthropological lens to the natural sciences, Rabinow lays the foundation for an ethically grounded anthropology ready and able to face the challenges of our contemporary world.